Muddy Paws & Inky Fingers: Silhouette Challenges #4: "Shaped Cards"
I love shaped cards! I've been looking forward to this challenge since it was scheduled several months ago. There are so many fun shaped cards out there, the hardest part of this challenge was deciding which one to make! But, I did decide! I used this file from the Silhouette online store. It's called the "Hailey Dress Card". After I assembled the dress, I used a Unity Itty Bitty stamp, "Fabulous Girl." The set has the adorable dress images and several sentiments. I paper pieced the dresses. I hope you like my shaped card! 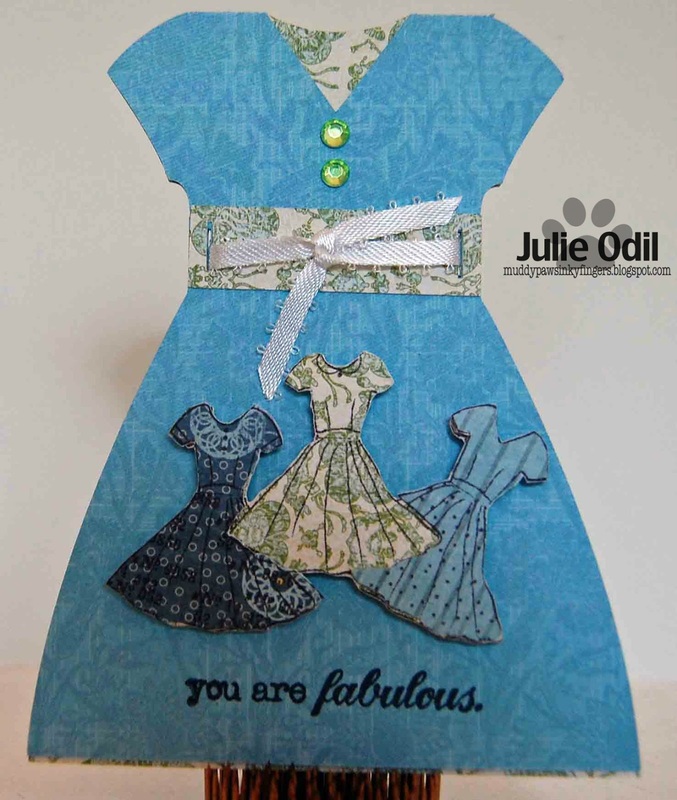 Now, make your own shaped card and join us at Silhouette Challenges. You have until August 31 to link up. Such a beautiful card. Thanks for being a part of the DT.